On the left is a picture showing the photographer’s daughter in a pleasant park. On the right is that same park 40 years later. 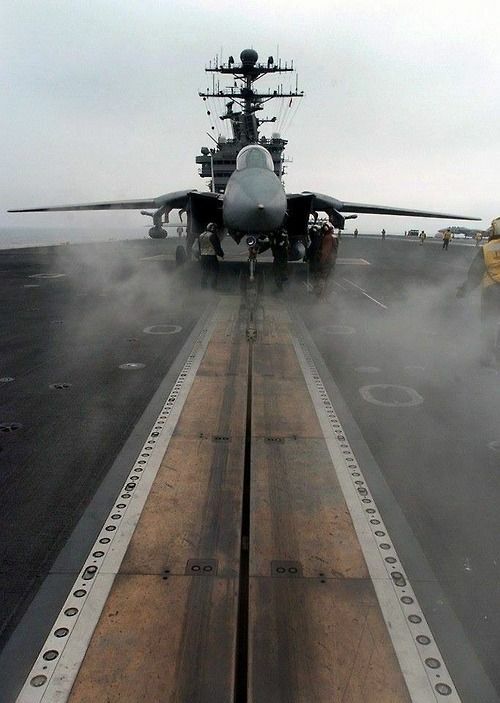 A U.S. Navy Grumman F-14D Tomcat assigned to the “Tomcatters” of Fighter Squadron 31 (VF-31) sits poised for launch on one of four steam-powered catapults aboard the nuclear powered aircraft carrier USS John C. Stennis (CVN-74). Stennis and her embarked Carrier Air Wing 14 (CVW-14) were at sea conducting training exercises.